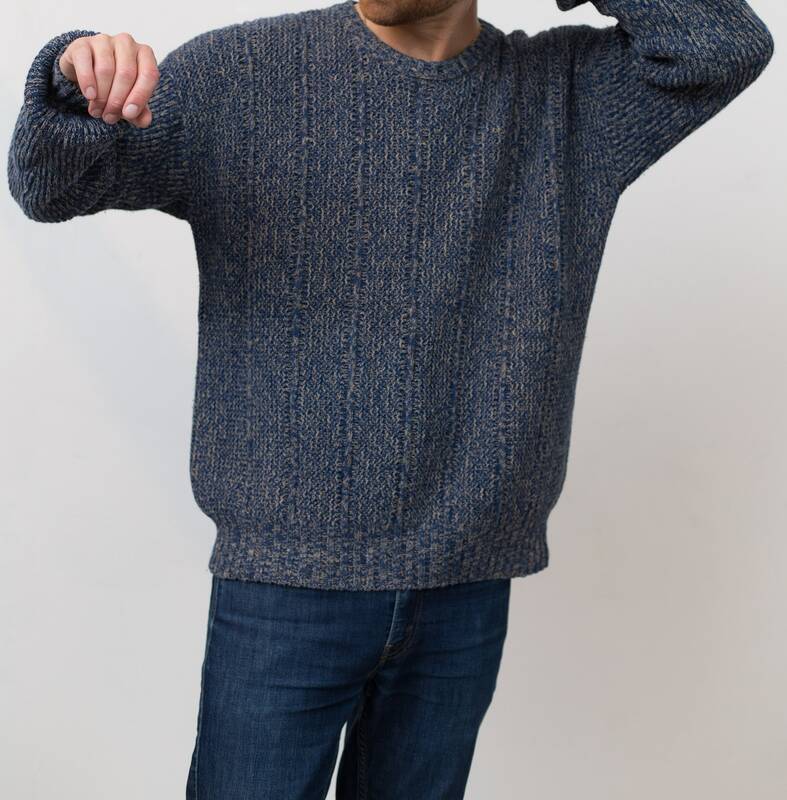 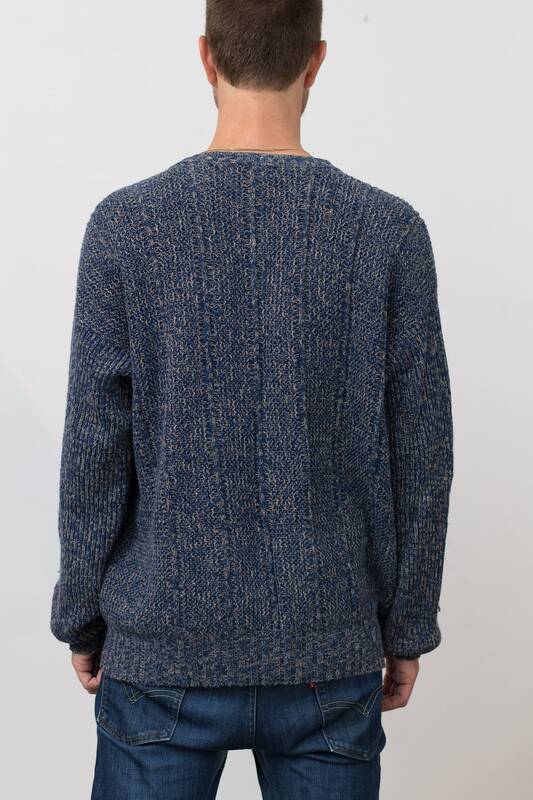 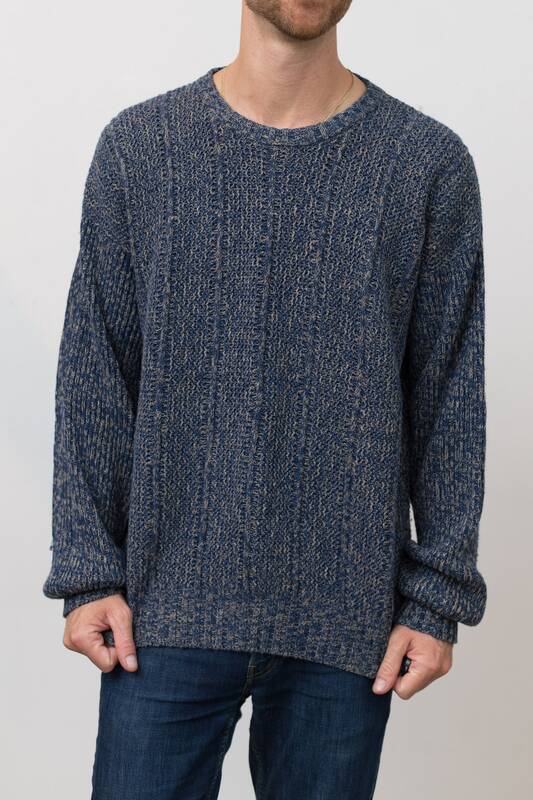 This is an awesome vintage large size blue knit pullover. 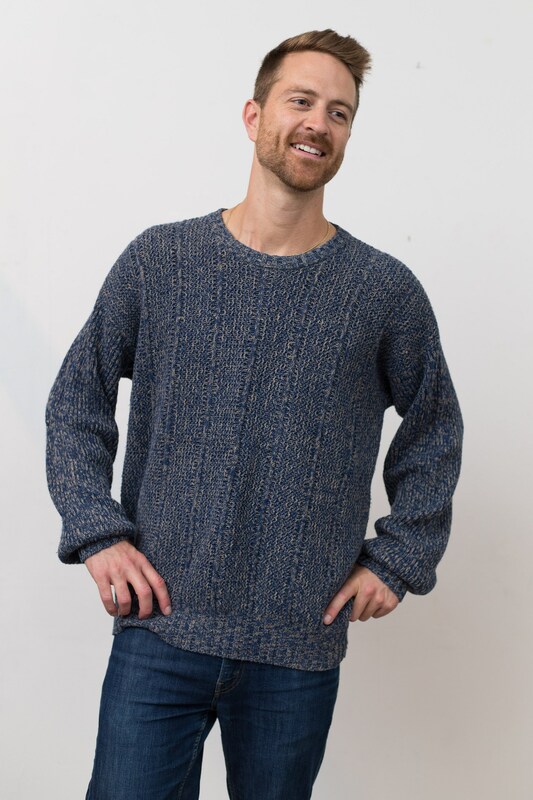 Size: Tag: large (model wears medium). 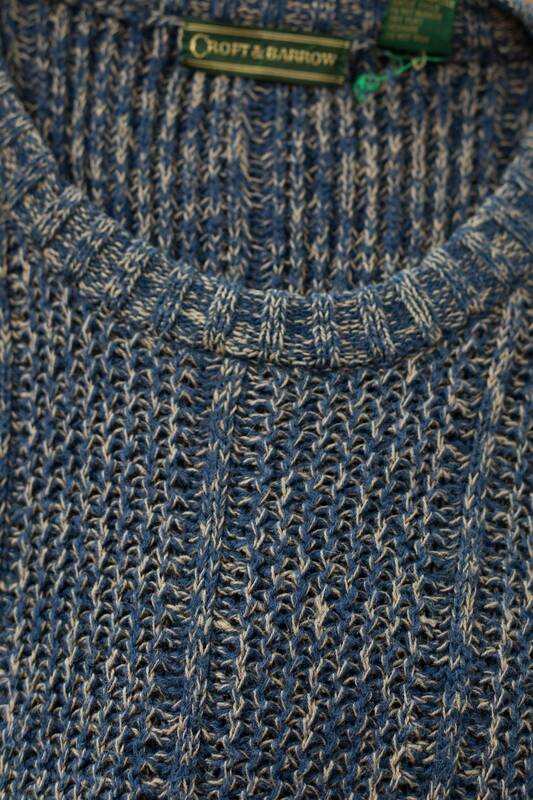 Material: 45% ramie, 55% cotton. 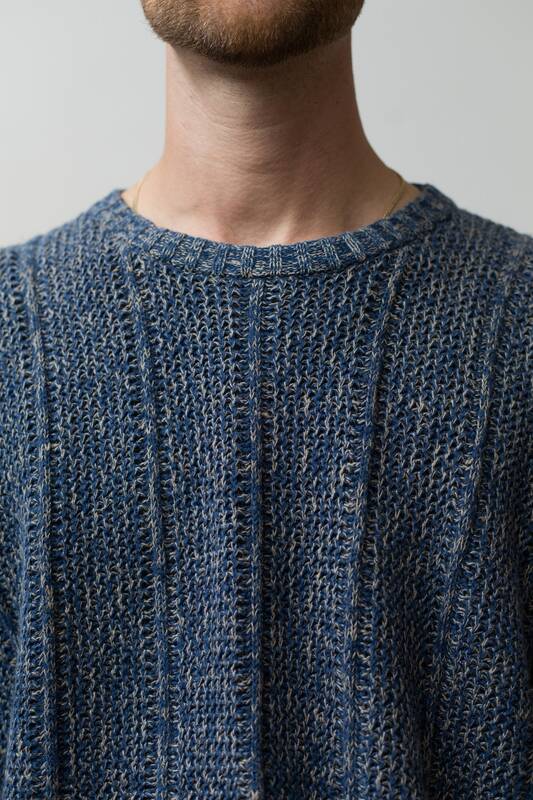 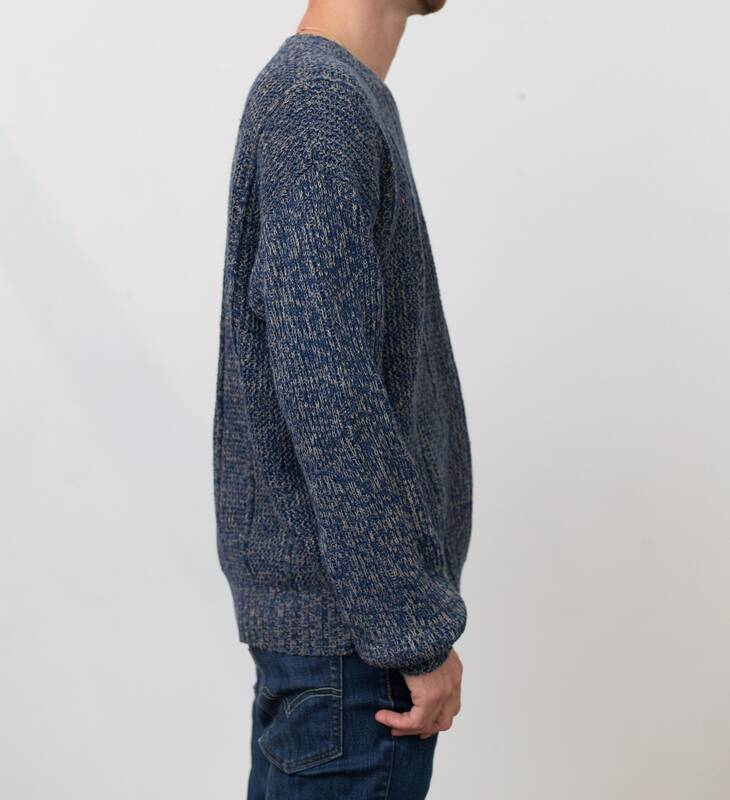 Length from neck seam to bottom of sweater: 27"